Nearly half of all homeowners are adding smart technology upgrades when they undertake a remodeling project, and those who do so are substantially more satisfied with the results. That’s according to Houzz’s 2016 Smart Home Trends Survey, which polled homeowners who had completed a renovation job within the past year or are planning one soon. Forty-five percent of respondents say that they are incorporating smart systems — defined as devices that can be controlled by a mobile device or a computer — in their home renovation plans. 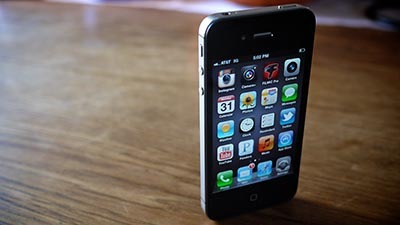 Earlier this year, Pew Research Center found that 72 percent of U.S. adults own a smart phone. Home security tops the list for most common smart home feature, with 25 percent of respondents installing some form of tech-enabled system. Alarms and cameras are the two most popular smart security devices, with protection from intruders and the ability to monitor the home from a remote location the two biggest motivators. Roughly three-quarters of homeowners who install smart security devices spend less than $1,500. Entertainment systems are the next most likely to contain smart technology, with an 18 percent adoption rate among those polled. TVs, speakers, and video- and audio-streaming systems are all equally popular upgrades, and nearly one-third of TVs are Internet-enabled. The vast majority of remodelers — 80 percent — want to upgrade their entertainment experience. About half of those who opt for smart entertainment systems spend in excess of $1,500. Climate-control and lighting systems were slightly less popular with renovators, with respective adoption rates of 14 and 12 percent. Among all homeowners surveyed, lighting is the most common upgrade, regardless of whether the systems contain smart technology. Those who opt for smart technology report higher levels of satisfaction than those who stick to more traditional systems and devices. About 70 percent of homeowners with smart entertainment and lighting systems report being very satisfied with their upgrades, compared with about half of those who purchased nonsmart systems. If smart home technologies make for happier homeowners, why are the other half of them sticking to old-school systems? Turns out they’re just not that into the latest bells and whistles, with 37 reporting a lack of interest as their primary reason for not adopting smart technologies. Despite the fact that smart systems are relatively budget-friendly when compared with other home renovations, nearly one-third of those polled cite concerns over costs.